A paper presented at the Thomas Merton conference in Prades, France in May 2006. Where would we be without our friends? Friends who glimpse our true face? Friends who help us see doors we hadn’t noticed? Friends who accidentally reveal possibilities in ourselves that, left to ourselves, we might never have found? Thomas Merton was friend to many and also the beneficiary of many friendships. Milosz was living in France when his correspondence with Merton started but soon after moved to the United States, teaching Slavic literature at the University of California at Berkeley. Not surprisingly, Milosz was an admirer of the writings of Albert Camus. It was Milosz who encouraged Merton to read Camus who in turn became an intimate part of Merton’s intellectual and spiritual life during the last decade of his life. The two most important Camus novels were The Stranger, published in France during the German occupation, and The Plague, published two years after the occupation ended. Let me refresh your memory about both books. Afterward we can consider at what made these books so important to Merton. The Stranger is a tale of two murders, with the narrator of the book guilty of the first killing. As we read the book, we soon become aware that the narrator is so minimally socialized as to be nearly autistic. His act of deadly violence is committed on impulse while in a dazed condition brought on by the fierce heat of the Algerian day. He shoots a man who is unknown to him, a stranger who was threatening him with a knife. As is always the case with murder, it’s an ugly crime, yet the killer can never comprehend why society reacts as it does to this event; he was under threat, and, after all, the victim was “only an Arab”. Had a more skillful defense been offered, he would have escaped a guilty verdict on the grounds that he had acted in self-defense, but he is badly defended and unfairly prosecuted. In the trial, the crime is of less consequence than the defendant’s social failings. The accused is condemned to death less for shooting a man than for smoking a cigarette while on nighttime vigil at the side of his mother’s coffin. He has also failed to have a religious faith or to exhibit regret. Clearly, the prosecutor argues, this man is a criminal type. Even while awaiting his execution, with seemingly endless days to reflect on what he has done, our narrator remains a two-dimensional man, unable to empathize, love, or repent. His chief virtue, one that has cost him dearly, is that he is a man who seems incapable of lying or pretending. A few tears might have saved his life. It is, as I mentioned, a book about two murders. The second is worse than the first. It is a murder prepared with the utmost premeditation, a judicially-sanctioned murder, a murder that is carried out for “the good of society” and in the name of society. It is cold-blooded murder done cleanly and by the clock, a well-ordered murder with doctor and priest in attendance, a murder arranged by people who, in their domestic lives, may be the soul of kindness. A man’s head is cut off in what is regarded as a socially therapeutic action. The Stranger was published in 1942. Five years later, Camus’ next novel appeared, The Plague. In it, the reader discovers that Camus was far from finished with the question of the outsider, the exile, the stranger — and not only the stranger from afar; Camus reminds us that it is quite possible to be a stranger even when living in the place where one was born. We also find Camus still wrestling with the issue of killing, and not only when it is carried out by the state, but when committed by revolutionary organizations whose manifestoes call for the creation of a more humane, less murderous society. Among those we meet in The Plague is Jean Tarrou. He enters the book very quietly as a man of private means who is newly arrived in the Algerian port city of Oran, which Camus describes elsewhere as “a labyrinth where the wanderer is destroyed by the minotaur of boredom.” Tarrou is a man who enjoys life’s pleasures without being their slave. His diary, often quoted in The Plague, is striking for its acute insights and observations and also for the author’s compassion. As the people of Oran fall victim to the plague and are forced to isolate themselves from the surrounding world. It is Tarrou, stranger though he is, who organizes a corps of volunteers, the Hygiene Squad, to assist the afflicted and to attend to all the unpleasant, often dangerous, chores imposed by the plague. Each volunteer, of course, stands a good chance of falling victim to the plague himself. Another key figure in the novel is Bernard Rieux, one of the city’s physicians. He and Tarrou set the highest standard for selfless response to the plague. For the reader, both men are heroes, and all the more impressive for their profound modesty. Yet neither man for a moment regards himself as a hero. In their own eyes, and in Camus’ view, they are simply being decent, modest human beings. Their response to the plague is no more remarkable than that of a teacher before the blackboard explaining that two plus two equals four. They do not regard themselves as exceptional. Neither do they harbor any resentment for those who respond less bravely, try to escape, who make money on the black market, who do little or nothing for those around them. But the two of them give nearly every waking hour in fighting what seems an utterly futile and endless battle. When at last, after ten months, the plague lets go of its grip of Oran, they take no credit for having speeded the day when the city gates are re-opened. Though they have been warriors along the lines of St. George, they still see the dragon as undefeated. The beast has only gone into temporary retirement. He has not even been scratched by his opponents’ lances. Many of those who battled the plague are outsiders or strangers in one way or another. Tarrou is a recent arrival in the city with no obvious reason to risk his life for his newly acquired neighbors. He seems to have come to Oran more for the sun and beach than the people. Though Dr Rieux is a native of Oran, he seems by temperament to be a man who stands at a slight distance from others. He even takes distance from the book he is writing — only in the final pages does the reader discover that Rieux is the book’s narrator. He has written it in the third person, with himself just one of diary’s participants. Both Rieux and Tarrou are outsiders in another sense: neither professes the religious faith of their neighbors in Oran. In a town in which most people, however atheistic in their day-to-day behavior, profess belief in God and identify themselves as Catholic, neither Rieux nor Tarrou is able to make a similar confession. Neither calls himself an atheist, yet they are not believers. When a local Jesuit, Fr Paneloux, preaches that the people of Oran deserve the plague and describes it as harsh but soul-saving medicine, both Rieux and Tarrou find his views deeply repellant. If the God Christians worship is the organizer of plagues, they want nothing to do with Him. They refuse to worship a deity who arranges the agonizing death of even one child. Tarrou tells Rieux about a pivotal experience in his life when he was seventeen, a story that echoes Camus’ first novel. Tarrou’s father was a prosecutor. One day Tarrou attended court to witness his father in action on the closing day of a murder trial. His father, an entirely decent and caring man at home, becomes, in his blood-red robes, a passionate advocate of the death penalty. Calling on the jury to send the accused to the guillotine, it seems to Tarrou that snakes are gushing from his father’s mouth. Tarrou’s bond with his father, now seen as a man swimming in blood, is irreparably damaged. Not many months pass before Tarrou leaves home, an event that coincides with the day of the condemned man’s execution. A head is separated from a body and a boy is separated from his family. What finally exiles him from revolutionary movements is witnessing an execution. Camus’ description, by the way, was not second-hand. He had witnessed the execution of an anti-Nazi journalist by the Germans in December 1941. The event galvanized Camus’ horror with the intentional killing of any human being. Until his death, Camus sought a way of life in which one is neither a victim nor an executioner. An obvious contrast between Camus and Merton was that one had rejected Christianity while the other embraced it. Indeed Camus, as Merton notes in one of his essays, regarded The Plague as his most anti-Christian book. Yet the difference between Camus and Merton is less substantial than it appears at first glance. In fact what Camus rejected was not the person of Christ but a pseudo-Christianity that had become a mechanism for blessing the established order, a religion of accommodation that provides chaplains to witness executions without raising a word of protest, a religion committed to the status quo rather than the kingdom of God. What Camus was missing in the world were Christians who reminded him of Christ. Merton was equally troubled with such a pseudo-Christianity. Far from blessing the guillotine or the hangman’s rope, Merton was drawn to the Christianity of the early centuries, when one could not be baptized without renouncing bloodshed, whether in war or as a means of punishment, a Christianity of care for the poor, a Christianity of hospitality, mercy and forgiveness — a Christianity in which sanctity is normal. Merton carefully studied Camus’ notebooks when they were published and noted that the idea that grew into The Plague for began to form in 1941 while France was under Nazi occupation. Camus spent the war as part of the French Resistance, one of the editors of the underground journal Combat, work in which he literally risked his life for every sentence he wrote. Concern about the horror of war and what it does not only to the bodies of its victims but to the souls of all who in various way participate in war, even if only as its cheerleaders or passive collaborators, was one of the constants in Merton’s life from early adulthood until his death. Human beings were now defined not by the mystery of bearing the image of God but by the fate of being defined by the borders within which they happened to live and the color we assigned to them. The word “red” had become a death sentence. This was the plague with which millions of American Christians were infected and eagerly passed on to others. How we Christians have changed over the years since Christ’s resurrection, Merton pointed out in essay after essay. The war-resisting, life-protecting, bloodshed-refusing witness given by Christians in the first centuries seems today incomprehensibly remote and scandalously unpatriotic. Among contemporary Christians, there are not many who, in those moments when one has to choose between the example of Jesus, who killed no one, and what is described as patriotic duty, side with Jesus. Better to find some way to explain the Gospel in such a way that it aligns Christ’s teaching with the demands of one’s nation. Time and again the cross is made into a flagpole. In every country and culture one finds pastors and theologians who exhibit a great talent for adjusting the Bible to fit the politics and ideologies of the moment. South Africa had its theologians of apartheid, the United States has had theologians of Manifest Destiny, Nazi Germany had theologians who were rabidly anti-Semitic, and in any country in which slavery existed or thrived as a business, there were theologians who could demonstrate that slavery was God’s will. 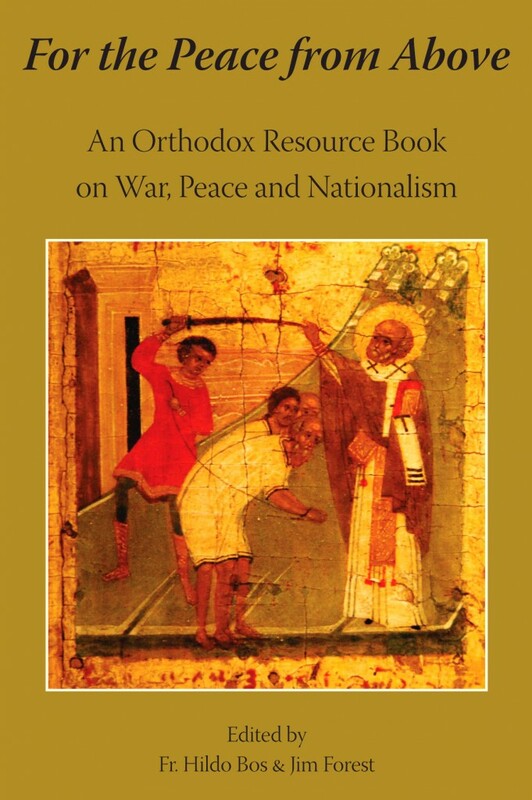 From the fourth or fifth centuries, there has never been a shortage of bishops and theologians willing to sing the praises of whatever war was underway. To the end of his life, Merton sought to align himself with the Gospel, refusing to adjust the Gospel to the local flag, or any flag. “The present war crisis is something we have made entirely for and by ourselves. There is in reality not the slightest logical reason for war, and yet the whole world is plunging headlong into frightful destruction, and doing so with the purpose of avoiding war…. This is true war-madness, an illness of the mind and spirit that is spreading with a furious and subtle contagion all over the world. Of all the countries that are sick, America is perhaps the most grievously afflicted. On all sides we have people building bomb shelters where, in case of nuclear war, they will simply bake slowly instead of burning quickly or being blown out of existence in a flash. And they are prepared to sit in these shelters with machine guns with which to prevent their neighbor from entering. This in a nation that claims to be fighting for religious truth along with freedom and other values of the spirit. Truly we have entered the “post-Christian era” with a vengeance. Whether we are destroyed or whether we survive, the future is awful to contemplate. “What is the place of the Christian in all this? Is he simply to fold his hands and resign himself for the worst, accepting it as the inescapable will of God and preparing himself to enter heaven with a sigh of relief? Should he open up the Apocalypse and run into the street to give everyone his idea of what is happening? Or, worse still should he take a hard-headed and “practical” attitude about it and join in the madness of the war makers, calculating how, by a “first strike” the glorious Christian West can eliminate atheistic communism for all time and usher in the millennium? I am no prophet and seer but it seems to me that this last position may very well be the most diabolical of illusions, the great and not even subtle temptation of a Christianity that has grown rich and comfortable, and is satisfied with its riches. “What are we to do? The duty of the Christian in this crisis is to strive with all his power and intelligence, with his faith, his hope in Christ, and love for God and man, to do the one task which God has imposed upon us in the world today. That task is to work for the total abolition of war. There can be no question that unless war is abolished the world will remain constantly in a state of madness and desperation in which, because of the immense destructive power of modern weapons, the danger of catastrophe will be imminent and probable at every moment everywhere. Unless we set ourselves immediately to this task, both as individuals and in our political and religious groups, we tend by our very passivity and fatalism to cooperate with the destructive forces that are leading inexorably to war. It is a problem of terrifying complexity and magnitude, for which the Church itself is not fully able to see clear and decisive solutions. Yet she must lead the way on the road to the nonviolent settlement of difficulties and toward the gradual abolition of war as the way of settling international or civil disputes. Christians must become active in every possible way, mobilizing all their resources for the fight against war. This was Merton’s first attempt in the sixties to raise his voice against the plague spirit of the time. He did so in the pages of Dorothy Day’s journal, The Catholic Worker, in the issue published in October 1961; it was one of the first issues that I was involved in preparing for publication. I still recall the excitement I felt to be holding manuscript pages with various corrections penciled in by Merton himself. As it happened, side to side with Merton’s essay when it appeared in print was a drawing of St Francis of Assisi — another disciple of Christ whose conversion led him to embrace the Gospel in its totality and, in the process, to renounce all killing. Had he not been died in an auto crash four years earlier, Camus would have appreciated Merton’s role in challenging Christians to struggle against the plague. Indeed I have little doubt the two would have struck up a correspondence. What fascinating letters these would have been! 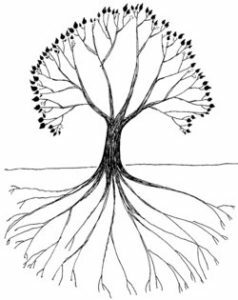 Jim Forest is the author of The Root of War is Fear: Thomas Merton’s Advice to Peacemakers and Living With Wisdom: a biography of Thomas Merton.